The Boston Red Sox have been caught stealing—stealing their opponents’ signs, that is. Baseball teams have attempted to steal signs since the beginning of organized leagues. Although there is no written rule against it, it is illegal to do so aided by any kind of device. The Red Sox took advantage of replay video in order to steal signs from the Yankees and other teams. John Jochim, a trainer, used his Apple Watch in the dugout to pass on signs to the players. Batters could then guess what type of pitch would be thrown to them. 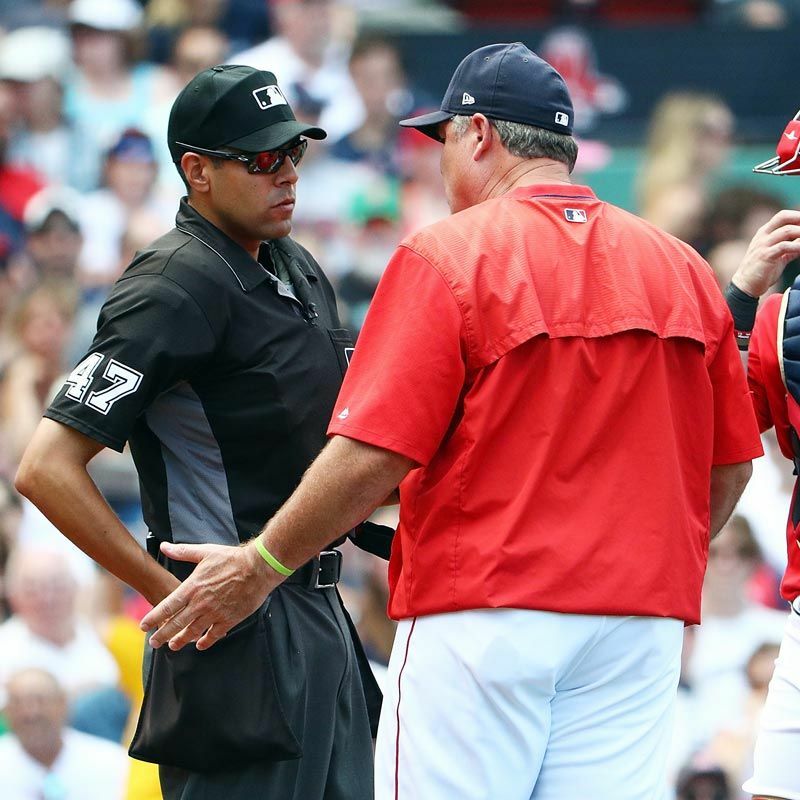 The use of an electronic device in the dugout—which is against MLB rules—is how the Red Sox got in trouble with the league. To their credit, the organization admitted its actions were wrong and have cooperated in the investigation. However, president of baseball operations Dave Dombrowski publically skirted the issue. Dombroski’s right. Sign stealing, in and of itself, is not wrong. But breaking a league rule to gain an advantage is. That’s where the line was crossed. Dombrowski then justified his team’s actions with the overstatement that “everyone is doing it.” Even if that turns out to be true, where is the line of acceptability drawn? The Conflict: To Cheat or Compete? This is not the first, and won’t be the last, case of cheating in professional sports. Of course, the NFL team nearest to Boston has had it’s own history of cheating scandals. But this isn’t a Boston problem. This is a human problem. Competitors want to win so desperately that some break rules in order to do so. Five-year-old kids feel tempted to cheat as do adults—who should know better. Even athletes with the most God-given talent still give in to cheating. Why? Because people want what’s best for them. The Red Sox are a good team with loads of talent. So why did they still feel the need to gain an edge? Maybe because getting away with bending rules is stimulating, especially when it provides an advantage over rival teams, an edge every team seeks out. The desire to win is healthy. But when desire becomes a “win at all costs” mentality, it can easily take a dark turn. Why Should Christ Followers Care? The book of Proverbs says, “The Lord hates cheating, but he delights in honesty” (11:1). Clearly, cheating displeases God. The original language of this verse uses the words “scales” and “measures.” In other words, don’t tip the scales in your favor. Every athlete wants to win, but God detests dishonest play. Christ followers are called to live lives pleasing to God (2 Peter 3:11,14), so it’s fitting to expect that they play the game in a way that honors God. Christian athletes play to win, but not because they play for the world’s approval. Their aim is to worship the God who created them, to be primarily concerned with pleasing Him. Part of this worship is honoring the rules. In reference to Dombrowski’s point, the Christian athlete has to wrestle with what it means to win however they can and yet always according to the rules. It takes a great deal of maturity to rise above the pressure to cheat to get ahead, but the Christian athlete at least has motive to do so. They are encouraged to live like Christ; an impossible, yet noble standard to strive for. They are encouraged to "do everything as unto the Lord," and that alone could (and should) create enough dissonance to make cheating unattractive. Joel Pfahler is a staff member with Athletes in Action and has a degree in broadcasting and digital media. He's traveled to five continents using both sport and digital media as platforms to influence and inspire those in sport culture. Joel is also a nationally ranked track and field athlete. Follow him on Twitter @JPfahler.